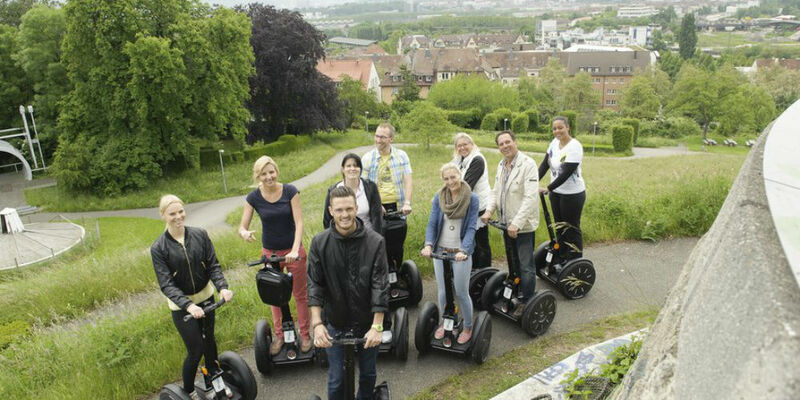 Discover Stuttgart in a completely new way – on the Segway. Experience the most exclusive city tour of Stuttgart! We start right at the Rothebuelplatz. Together with a professional tour guide we go to the most beautiful sights without exhausting foot marches. Our journey across the “Stuttgart cauldron” leads to the best-known sights like the Castle Square, Feuersee and the Stuttgart Planetarium. The most exclusive city tour of Stuttgart also leads you through forest and vines to the hidden gems of the Swabian metropolis.